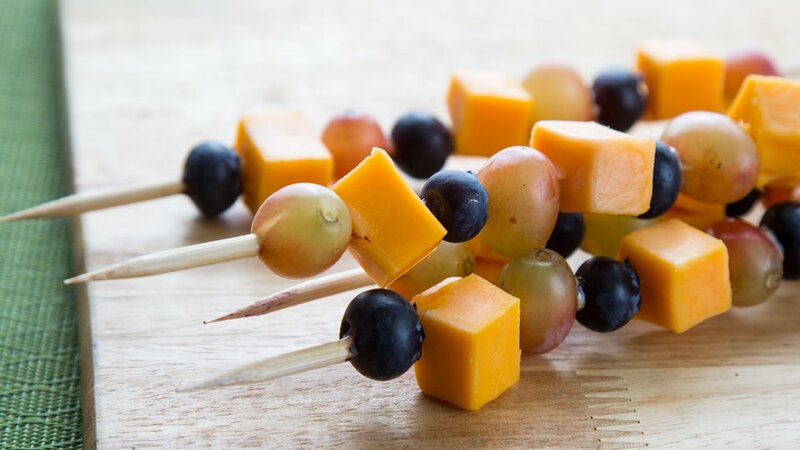 Help your child learn to prepare a simple treat with these fruit and cheese kabobs. Any fruit will work, but grapes and blueberries can make your job a little easier and a little less messy. No knives or further preparation required. Just wash the fruit and start building! Place one grape, one cheese cube, and one blueberry on each skewer in this order. Repeat twice more so that there are three of each item on the skewer.